Hear how innovative technologies behind the MSC Apex platform enable engineers to design and validate products faster. The team at GMTO is using MSC Apex to help the giant telescope withstand earthquakes in Chile while helping humanity understand the universe. Immerse yourself in a fun, easy to use environment; a game-like experience that is referred to by engineers as ‘addictive’. 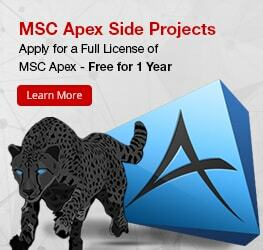 For more information on MSC Apex please visit the MSC Apex Modeler or MSC Apex Structures pages.